Occupational therapy is an allied health profession. This term is used to refer to the wide range of professional groups that work in mainstream health care. Other examples of allied health professionals include physiotherapists, radiographers, speech and language therapists, and podiatrists. Occupational therapists are required to train at degree level and register with the Health and Care Professions Council (HCPC). 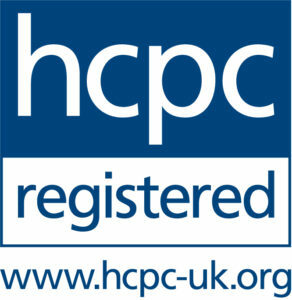 The HCPC was set up by the government to ensure the safety of the public and continuing professional development of its members. It is understood that if your routines are disrupted or you are deprived of occupation because of physical illness, stress or mental-ill health, your health and well-being will suffer. Occupational therapists help people whose usual and important routines are disrupted because of illness, stress or social problems. Their aim is to enable people to achieve as much as they can for themselves, so they get the most out of life. Occupational therapists work on any occupational difficulties and in this way are experienced life coaches. I am an NHS experienced occupational therapist and have worked with people with mental-health difficulties of all types, using a range of mental health therapy techniques. Occupational therapists are skilled at empowering individuals with depression, anxiety, OCD and stress to become re-engaged with life and to feel confident again. During occupational therapy sessions, I am able to accompany you out into the community to carry out work with you on tasks related to facing fears e.g. graded exposure tasks. This support is very useful for people overcoming agoraphobia or social phobia. I can also support you in getting back to work and finding other meaningful activities such as voluntary work.